Apriline® Hydro is a skin-boosting mesotherapy treatment providing overall improvement in texture, elasticity, fine wrinkles and surface of the skin. Non cross-linked HA 18 mg/ML. 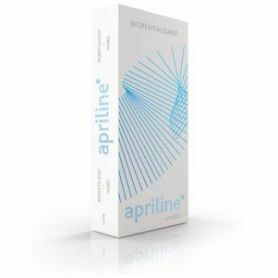 Apriline Hydro is a hyaluronic acid skin care product for clients who wish to improve their natural complexion as well as the texture and elasticity of the skin. While this product can be used to mask signs of aging, it can also be applied to give the skin a radiant and healthy glow while enhancing the tone. Homogeneous gel with excellent dispersion ability for natural immediate aesthetic result. High pseudo plasticity provides powerful volumising effect. Filling capacity, high level of elasticity and viscosity. Hydro is often applied to the face, neck, back of hands and upper arms. Small lines, superficial wrinkles and improvement of tone, firmness and elasticity of the skin. Face, Neck, Décolleté, Perioral Wrinkles. It is extremely safe, effective, comfortable, and convenient. 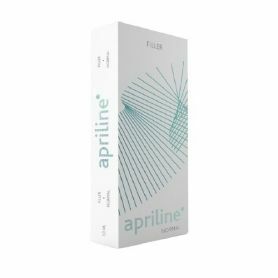 Apriline® is formulated with Non-Animal Hyaluronic Acid obtained from biofermentation. Extremely Safe - minimal risk of reactions and allergies. Immediate natural looking visible results. Apriline® is the only 100% effective monophasic cross-linked hyaluronic acid gel created using theunique A.P.R.I technology. A.P.R.I. technology is a patented ecologically safe method of crosslinking hyaluronic acid molecules in one phase. A.P.R.I. technology ensures effective crosslinking and modification of hyaluronic acid. This became possible thanks to the years of research done by Suisselle laboratory in the field of synthesizing cross-linked hyaluronic acid salts in super concentrated aqueous solution. 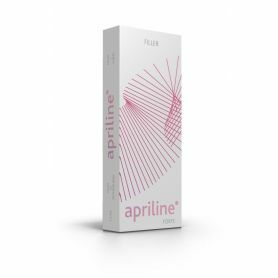 Apriline Normal is indicated for the correction of moderate to severe wrinkles in the facial area. Apriline® Forte is an all-around filler designed for treating of deep wrinkles, cutaneous depressions, folds, and facial contours.